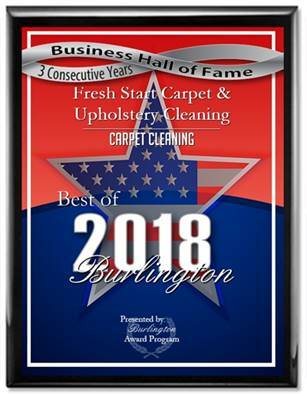 Fresh Start Carpet Cleaning is a family owned professional carpet & upholstery cleaning company located in Cherry Hill, NJ. Fresh Start specializes in steam cleaning carpets as well as pet stain removal, pet odor removal and, stain protector applications. Our company has been serving the South Jersey and Philadelphia areas for over 18 years. Our customer service reviews are numerous on Google, Yelp, Home Advisor and Yahoo. Our truck-mounted carpet cleaning process is a deep cleaning fast drying process that will remove most stains, odors and bacteria from your carpets and furniture while our steam sanitizes and kills allergy causing bacteria and germs.